Foreclosure Sale! Like new 2BD/2BA ranch style home with masonry fireplace in living room, oak wood floors, custom oak cabinets in kitchen, carpet in bedrooms, deck and porch. Shows like brand new. Brand new appliances included. Special foreclosure price of $87,900 what a deal! Murphy is located in the most western corner of North Carolina. We are approximately two hours from Chattanooga and Atlanta. If you enjoy the outdoors Murphy has so much to offer. We have several lakes and rivers for fishing, boating, kayaking or just being lazy floating down the river in a tube. We are located within 20 minutes of the Nantahala Gorge going east and 20 minutes from the Ocoee Gorge going west. There are lots of hiking trails to enjoy Mother Nature. There are also very nice restaurants here that serve everything from steaks to fresh caught fish. If you like sporting events we have several establishments in town that show the all important game on their big screen while you enjoy your favorite beverage and wings. Murphy NC Real Estate Sales and Service – Corky Vetten Realtor Exit Realty MVP is one of the leaders in marketing mountain properties. I specialize in assisting buyers and sellers invest in Real Estate in Western North Carolina and North Georgia, including the towns of Murphy, Andrews, Hayesville, Ellijay, Blairsville, Blue Ridge and the surrounding areas. 828-361-0358. 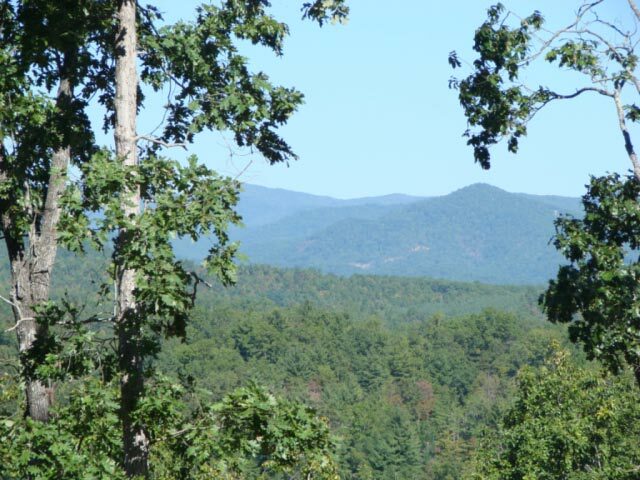 Start planning your dream home in the mountains after you see the fantastic mountain views from this home site. This property has a 3 bedroom septic permit. The property is situated in a beautiful gated community with paved roads, community water and underground utilities. Murphy is located in the most western corner of North Carolina. We are approximately two hours from Chattanooga and Atlanta. If you enjoy the outdoors Murphy has so much to offer. We have several lakes and rivers for fishing, boating, kayaking or just being lazy, floating down the river in a tube. 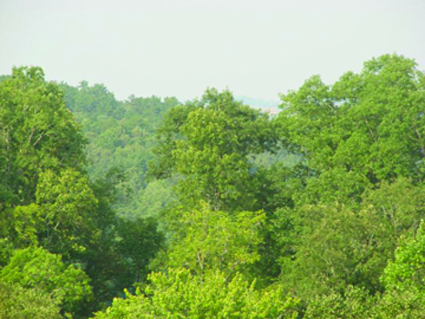 We are located within 20 minutes of the Nantahala Gorge going east and 20 minutes from the Oocee Gorge going west. There are lots of hiking trails to enjoy Mother Nature. There are also very nice restaurants here that serve everything from steaks to fresh caught fish. If you like sporting events we have several establishments in town that show the all important game on their big screen while you enjoy your favorite beverage and wings. Murphy NC Real Estate Sales and Service – Kathy Vetten Realtor Exit Realty MVP is one of the leaders in marketing mountain properties. I specialize in assisting buyers and sellers investing in Real Estate in Western North Carolina and North Georgia, including the towns of Murphy, Andrews, Hayesville, Ellijay, Blairsville, Blue Ridge and the surrounding areas. 828-361-0360. If you would like more information, please Contact Kathy Vetten at www.exitmurphy.com or www.kathyvetten.com for all your Real Estate needs, Kathy Vetten / Broker-CRS. Call Toll Free # 877-837-2288 – Murphy NC REAL ESTATE TOOLS AND SOLUTIONS – Kathy Vetten Broker / CRS – Exit Realty Mountain View Properties or visit my web site at www.kathyvetten.com. Come take a look at this beautiful 2 bedroom 2 bathroom Ranch Style Cedar Home with Bonus room that can be used as another bedroom. There are oak hardwood floors in the livingroom and kitchen with tongue and groove ceilings in the greatroom. This home is situated on 4.29 +/- acres in the lovely gated community of Wildcat. You’ll be just 5 miles from town and convenient to the John C Campbell Folk School, Tri County Community College and the hospital. The furnishings are also negotiable and the priced was $189,000.00 now only $140,000.00 this home is too good to pass up. Call Kathy today to see this lovely home in the mountains. If you would like more information, please Contact Kathy Vetten at http://www.exitmurphy.com or www.kathyvetten.com for all your Real Estate needs, Kathy Vetten / Broker-CRS. Call Toll Free # 877-837-2288 – Murphy NC REAL ESTATE TOOLS AND SOLUTIONS – Kathy Vetten Broker / CRS – Exit Realty Mountain View Properties or visit my web site at www.kathyvetten.com. Build your dream cabin on this .68+/- acre lot in the private mountain community in Notla River Estates. 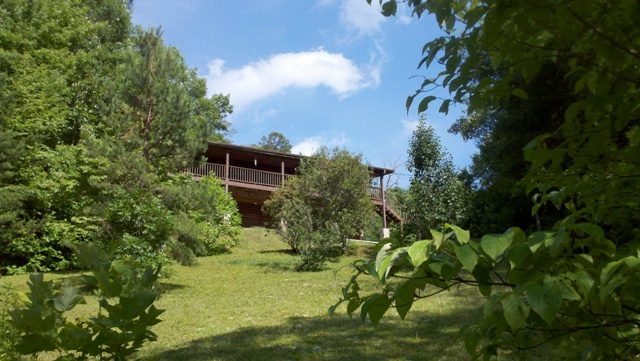 You’ll enjoy the beautiful long range mountain views and rolling hills. The septic is installed and ready to go. The community has paved roads and is ready for your builder. In no time at all you and your family and friends can begin enjoying all the gorgeous seasons changing from your new home in the mountains. 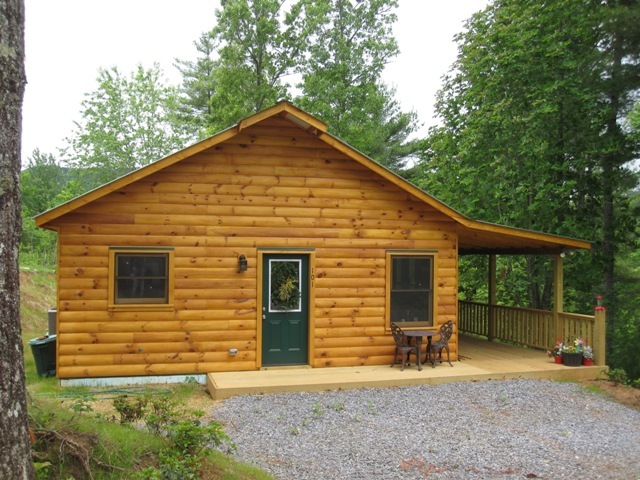 Look what you get when you build one of these brand new mountain cabins on 1 +/- acres. These homes feature all wood interior, metal roof, fireplace, custom kitchen with granite counter tops, wood floors and so much more. 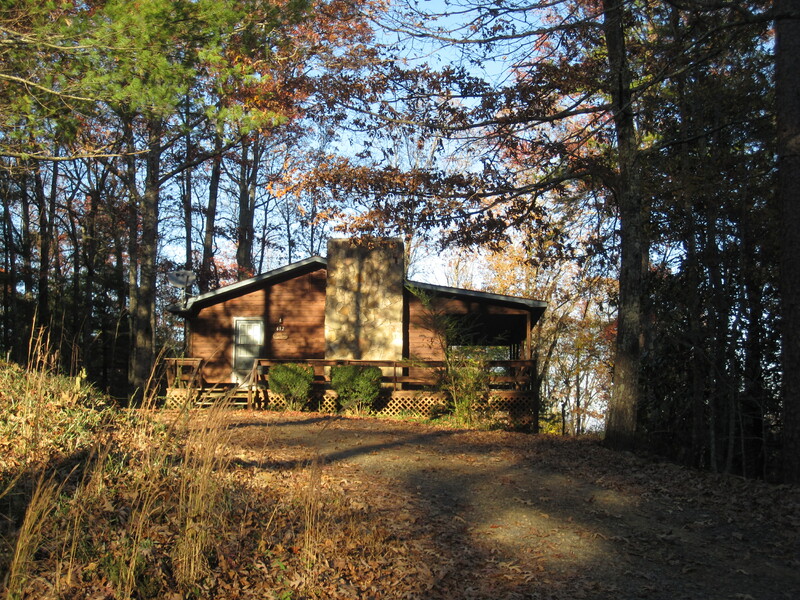 They are situated in a private wooded setting and range in prices starting at $59,900. These are model pictures of the homes. Check out the different floor plans and styles on my website. 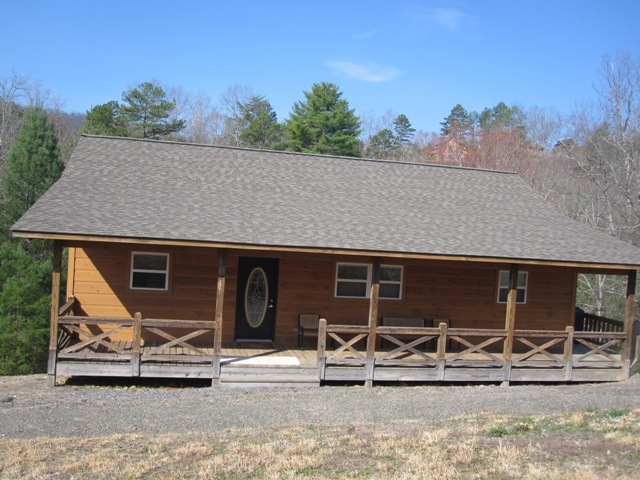 Two bedroom, two bath ranch style home on 1.48 Acre with views from its fully covered back porch are excellent. This home has a covered entry, a masonry, wood burning fireplace, central heating and air conditioning, is cable television ready, has a living room and dining room combo, country kitchen, walk in closet and laundry room. Appliances included are dishwasher, microwave, range, refrigerator, washer and dryer. The home also includes carpet and wood flooring, and a completely finished basement. Rustic Log Home nestled in the woods on a level to gentle lot. 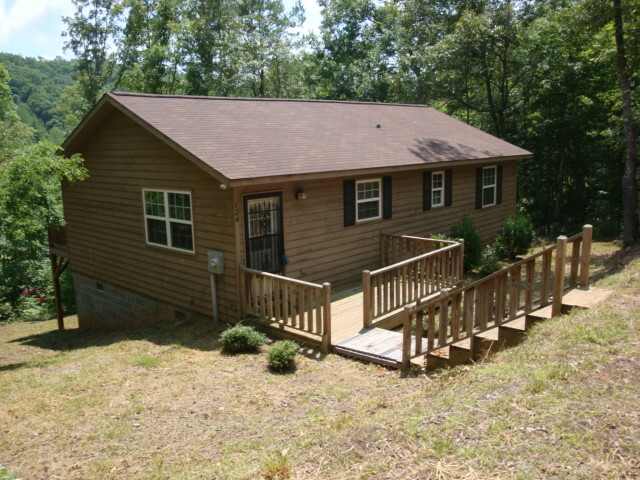 Ranch Style 3BR 3BA with a full covered front deck and back porch giving you plenty of room to enjoy the outdoors & entertaining, great long range mountain views. Has gorgeous landscape and gardens. Spring fed pond with fish, large open kitchen, Wood Floors, Basement, Bonus/workout room. 2 Car Attached Garage, Garden shed. Very private. Reduced price. A Must See. Make Offer.